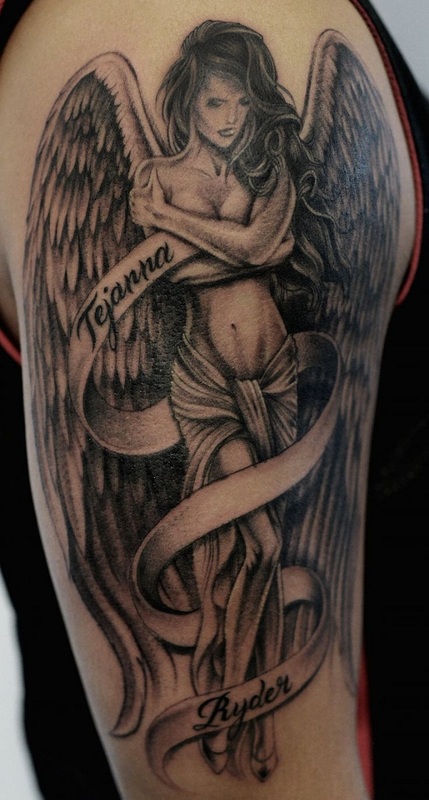 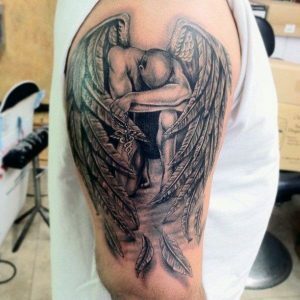 Angel tattoos are much sought after and popular among the tattoo lovers. 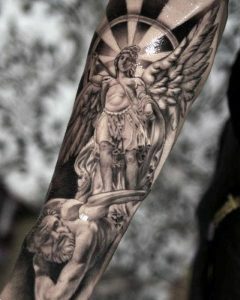 Angels are considered messengers and servers of God and symbolize everything that is good. A lot of symbolic meanings are attached to angel tattoos which are worn for numerous reasons and purposes. 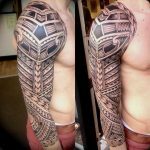 The meanings vary from person to person and solely depend on the wearer. 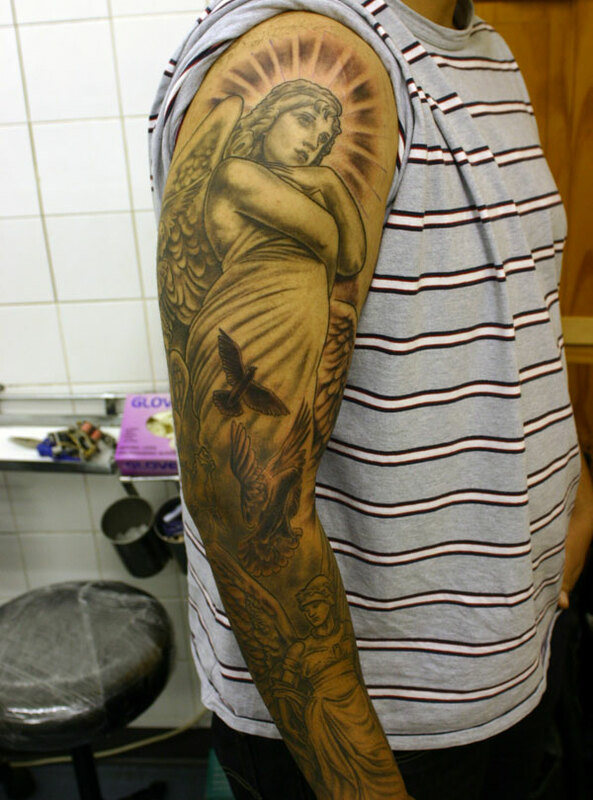 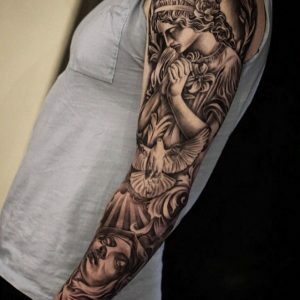 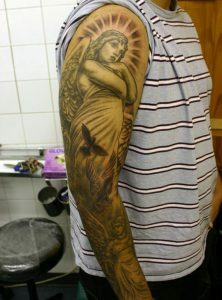 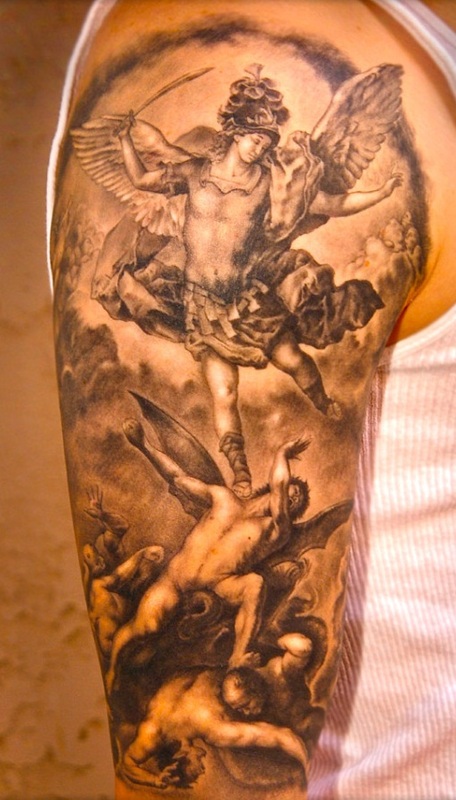 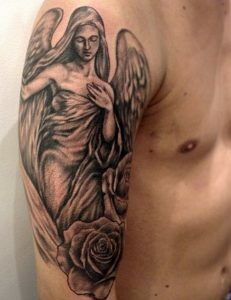 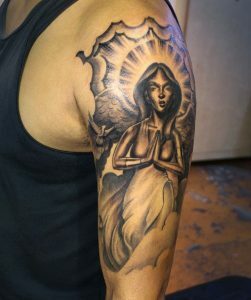 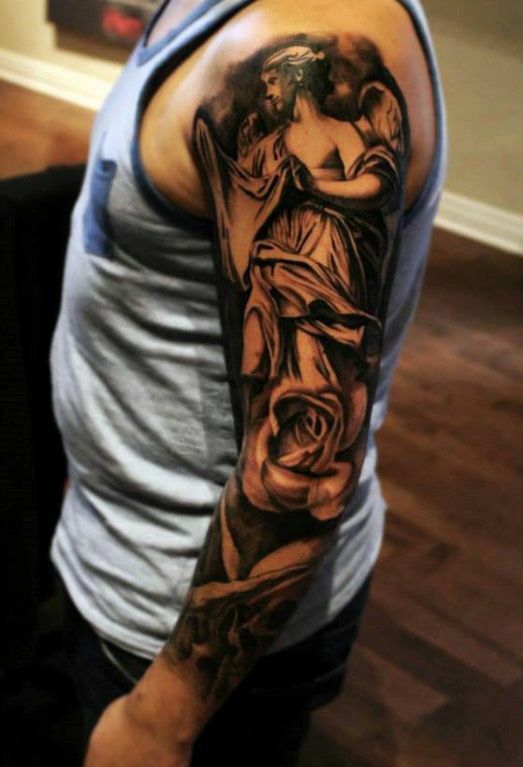 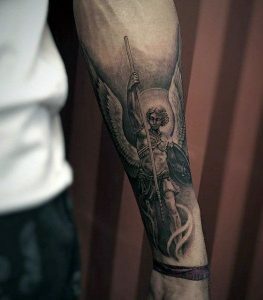 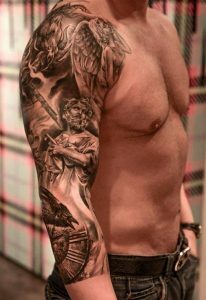 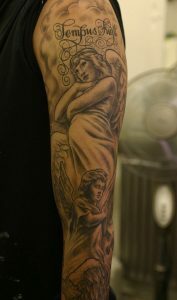 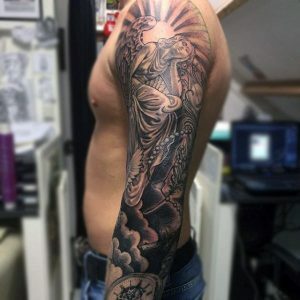 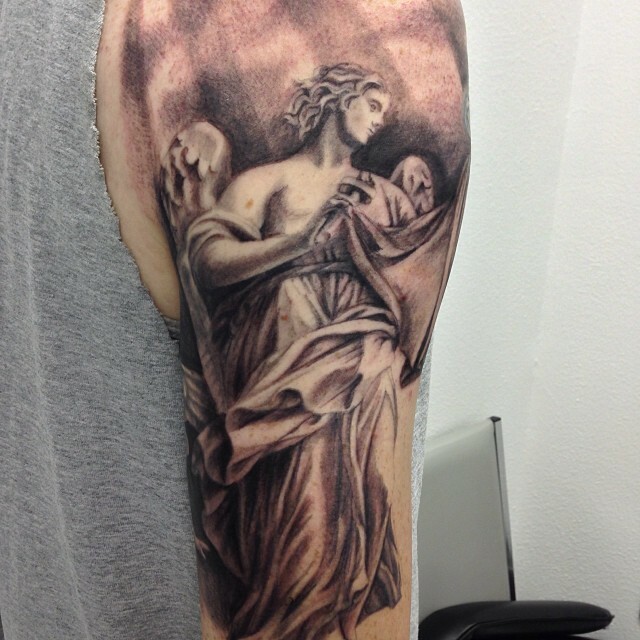 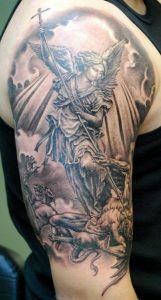 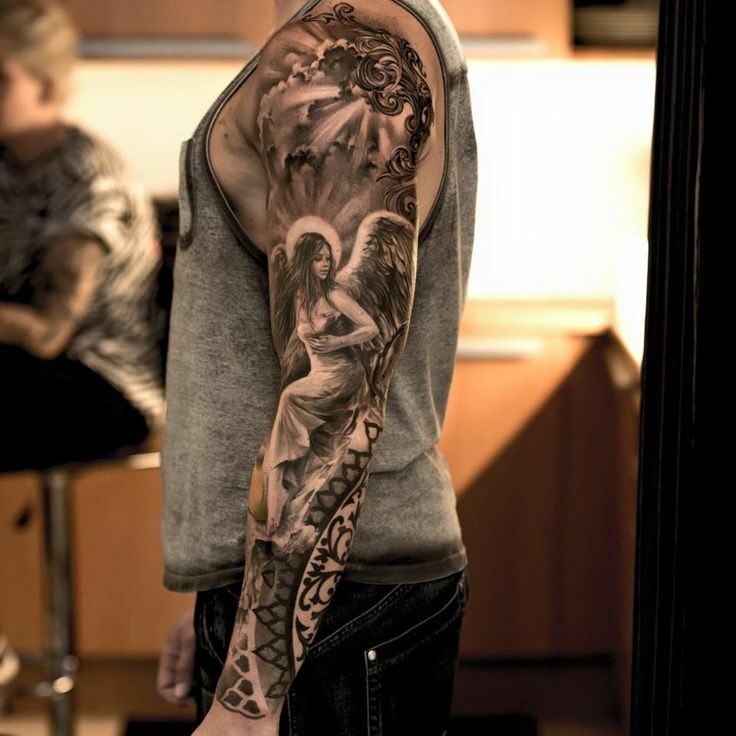 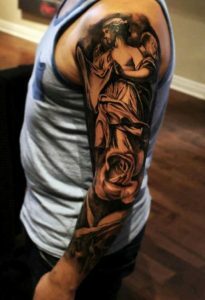 The angel sleeve tattoos are great body art. 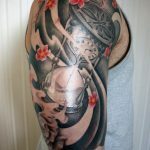 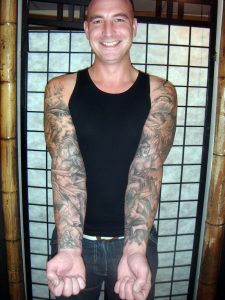 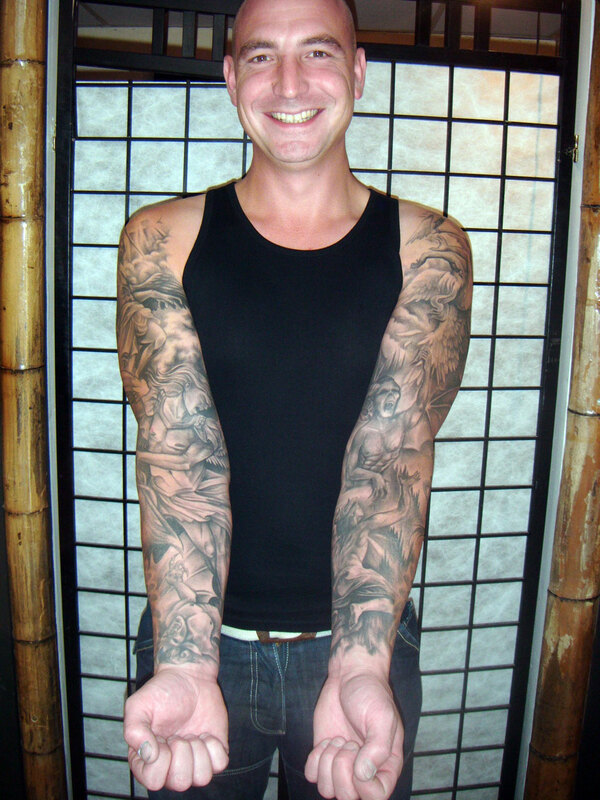 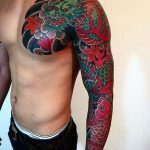 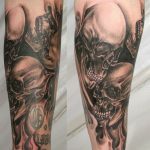 The tattoos are large comprise full sleeves and half sleeves. 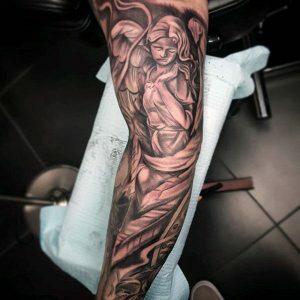 The tattoos lend that unique and elegant touch that few other tattoos can. 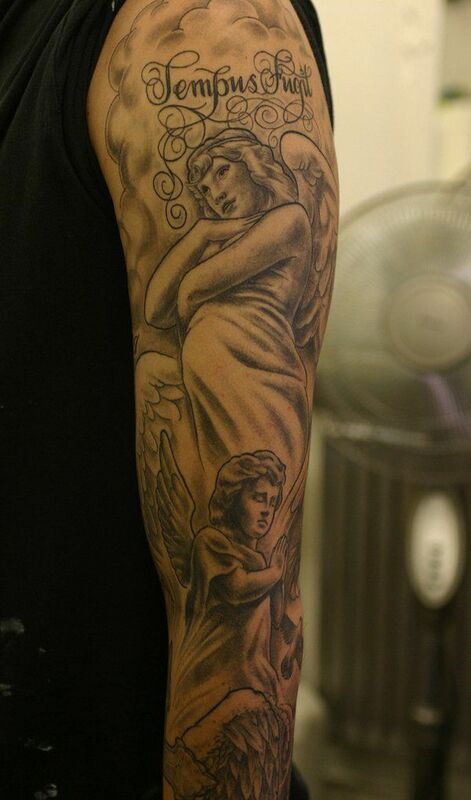 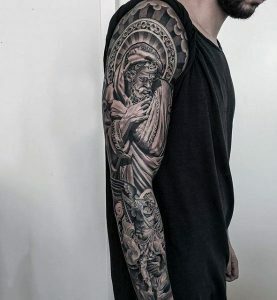 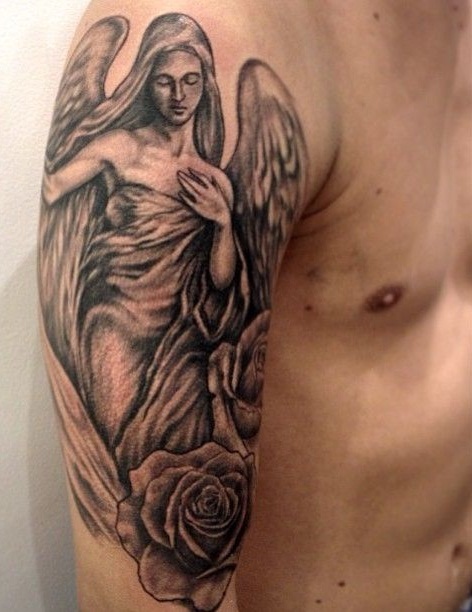 A great degree of solemnity and sophistication goes with the angel sleeve tattoos.